Tough call on Butler, seen that called a charge 95% of the time this season. Jimmy Butler ****s and pops! #AllEyesNorth 94 | #MileHighBasketball 87 with 6:48 left in Q4! That was a horseshit call. Some have gone against Nugs too tonight, but not that obviously. Rose with great D on Barton. This after Crawford stripped Chandler on iso drive. What a world. The #JetsTV Post-Game show is LIVE now with interviews from the dressing room, highlights, analysis and more! 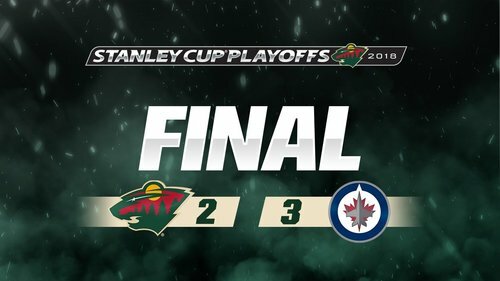 #NHLJets hold on for 3-2 win over #mnwild , their first playoff win in franchise history, to jump out to 1-0 lead in the best-of-seven series. 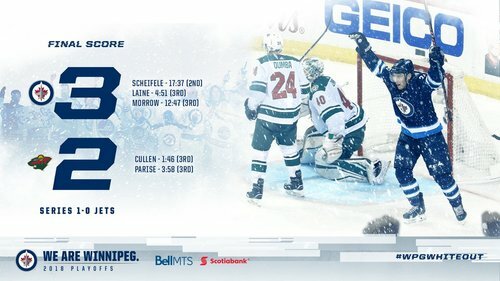 Big W to kick off the #WPGWhiteout - Let's do it again Friday! Nikola Jokic scored 17 of his game-high 30 PTS in the 3rd quarter! @nuggets cut the lead but still trail the @Timberwolves 86-81 heading to the 4th! Alright #StateOfHockey who do you think will tie it up?! END OF 3Q: Wolves lead 86-81! Dubnyk on the bench for extra attacker with 2:30 to go. Jamal Murray glides in for the reverse! MIN 80-79 w/ 3:35 left 3Q. Jets up 3-2 with 7:13 on the clock! Jets go up 3-2 😤 7:13 left in the third. Jokic with the muscle and soft touch! #MileHighBasketball 72 | #AllEyesNorth 76 midway through Q3. Matt Cullen scores off a sweet setup by Jordan Greenway. 32 PTS on 7⃣ of 7⃣ from DEEP for Paul George! #ThunderUp are on top on League Pass. 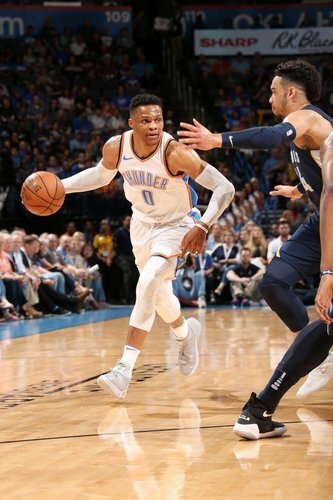 With his 16th rebound, Russ secures averaging a triple-double for the 2nd straight season! I’ve been convinced like 7 times there’s no way the Wolves can lose and 5 other times there’s no way they can win.